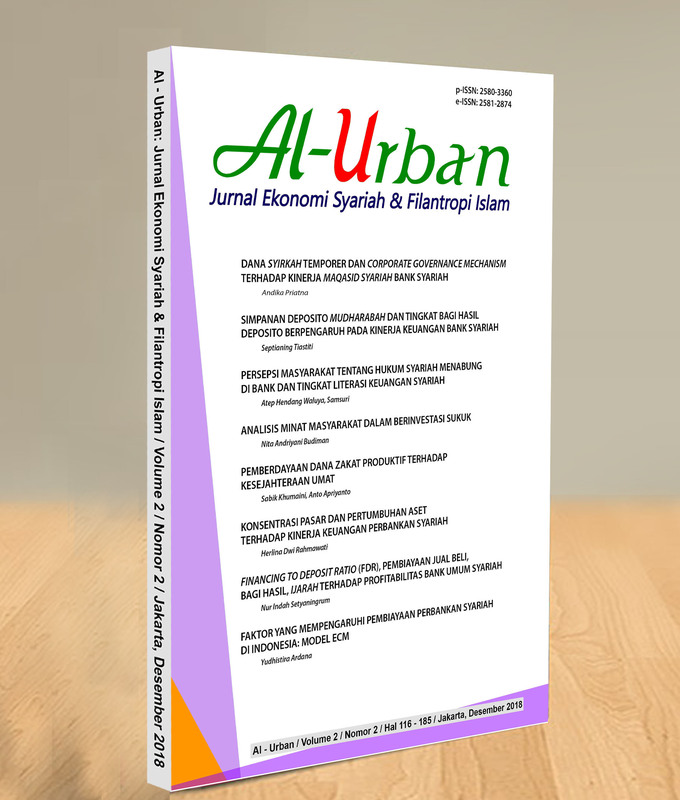 Al-Urban: Jurnal Ekonomi Syariah dan Filantropi Islam (Journal of Islamic Economics and Islamic Philantropy) is aimed at being a medium for research results dissemination and scientific paper exchanges on the Indonesian Islamic Economics and Islamic Philantropy among academics, practitioners, regulators, and public. Al-Urban: Jurnal Ekonomi Syariah dan Filantropi Islam (Journal of Islamic Economics and Islamic Philantropy) is issued two times annually, i.e., in Juny, and Desember. The Editor receives rigorous research manuscripts that have not been offered for publication elsewhere. In addition, analyses on new Islamic Economics and Islamic Philantropy books published in Indonesia and notes or comments on articles published in the Journal are welcomed. Since its first issue published in 2017.